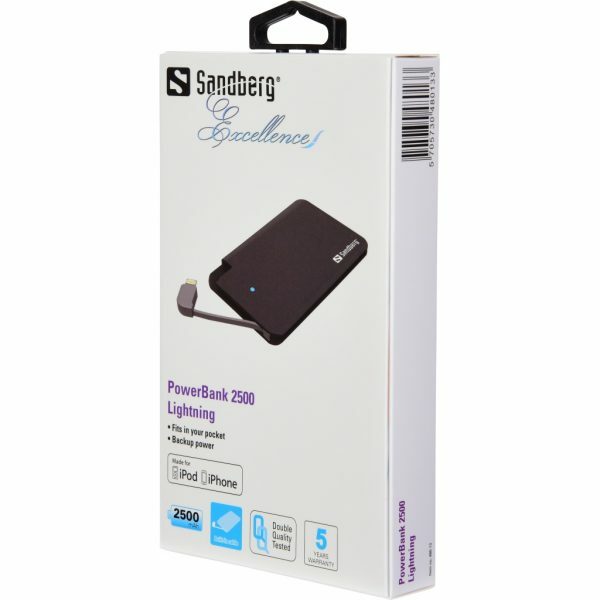 Sandberg Excellence PowerBank 2500 Lightning is a portable battery which is charged via a USB port and can then transfer the power to a mobile phone. 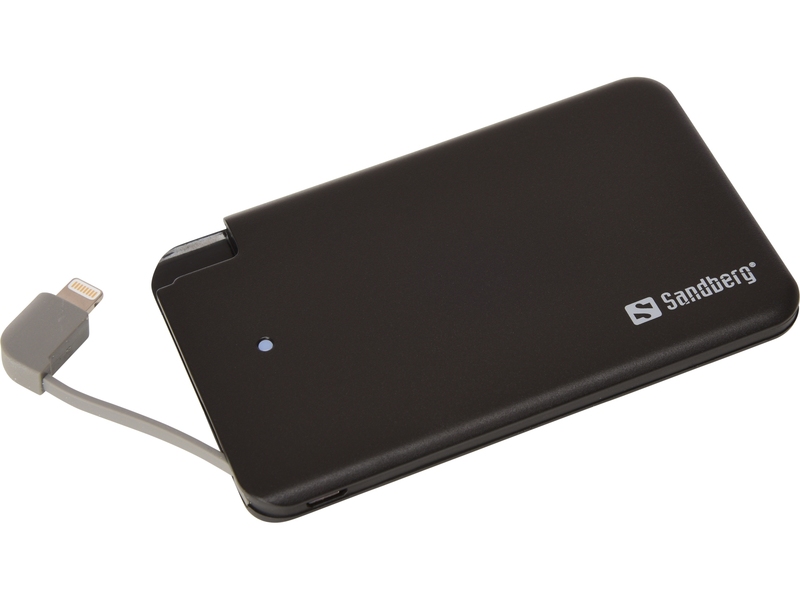 With a fully charged PowerBank in your pocket, you can ensure that you will always be able to charge your devices anywhere anytime – without having to depend on a power socket. 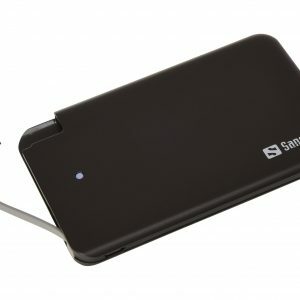 Embedded connector for iPhone.